I recently inherited my grandfather's collection of World War II memorabilia (primarily items he captured during his tour in Europe). 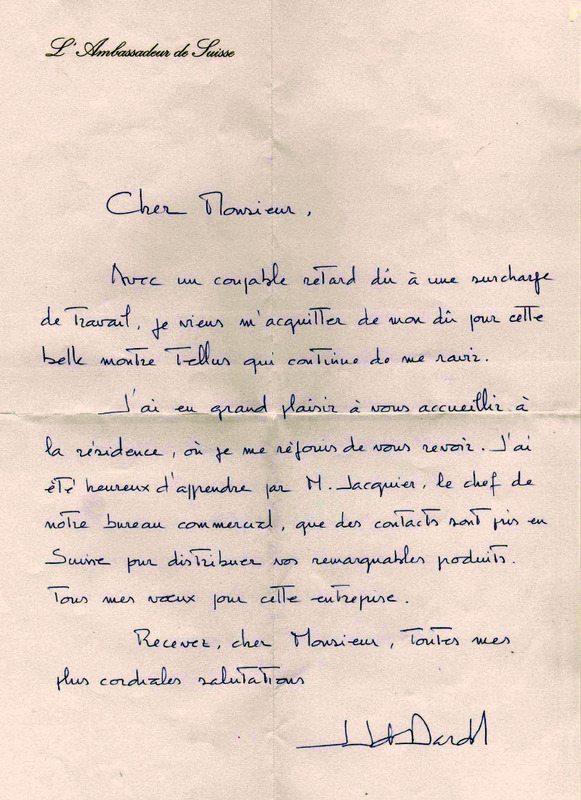 One item is a watch, which he took from a German soldier who was his "first and only German prisoner." I believe this watch is a Tellus, but I am wondering if you could confirm this for me. The back of the watch is roughly hand-engraved, from the former owner (in my opinion), thus making it difficult to read. I do, however, believe that it says "TELLUS" on the back, within a circle. The only reason I am skeptical is because the symbol on the face of the watch is different from the current Tellus symbol (a 'T' with parentheses). 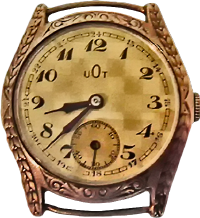 The symbol on the face of my watch reads "U0T" with the '0' or 'O' in the middle being larger than the two letters to the left and right of it. 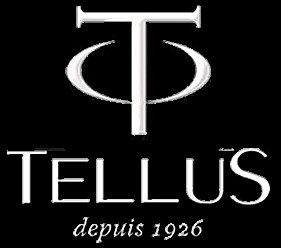 This symbol is also found on the back of the watch, in a circle within the circle that holds the word "Tellus". I can provide detailed pictures upon your request. P.S. Believe it or not, I wound it and it still works perfectly. This might be a great story/advertisement for your company, considering the history of this watch. 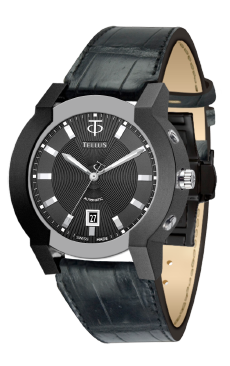 I'm looking to purchase a Tellus watch. Your watches are fantastic. The reason I want to buy one is that my mother had one in the ‘50s and it is still going, and is used now by my sister. I'm an architect and find your design simply excellent. I had a look at the brochures you sent me and I was again impressed with the cleverness and intelligent functionality of your products. Nevertheless, for me, nothing beats the Parentheses. I look all the time at my new watch and wonder how on earth you could come up with such a smart and absolutely unique system and the most elegant watch I’ve ever seen. A designer faced with the task of designing a certain object does just that, putting into his/her design the best aesthetic qualities he/she can come up with. You go well beyond that. With the Parentheses, you have first reinvented the object. First there were pocket watches, then they started to adapt them to be worn on one’s wrist and the arms supporting the lugs have been part of the case ever since. That is until you came with the idea of making them part of the Parentheses. It only took two centuries, eh? You have all my admiration and gratitude for facilitating my purchase of this revolutionary design. It was a pleasure to receive you in my residence. Please accept my cordial greetings.